Seven and a half miles for my Monday morning. A reader reminded me that my half marathon isn’t actually this weekend (THANK YOU Stephanie)… it’s next weekend. Can we blame this on pregnancy brain or maybe I’m just so excited for the race that I was just wishing it was this weekend. Pregnancy gives me a lot of time to think during my runs:) I’m not concerned with splits or specifics workouts anymore. I’m just running to run so my brain has a lot more time to think during these miles. Something that I was thinking about yesterday on my run was about WHY in the world I used to think so drastic about my running in the past? There have been so many times over the past where I viewed a few missed runs during a training cycle as a HUGE step backwards in my training (it’s not.. just my Type A personality taking over). 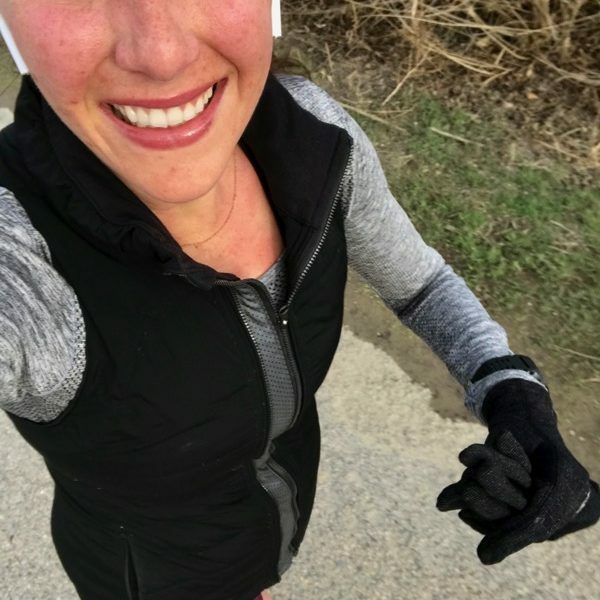 There were times when I thought for sure having to take a few days off in a row to get my body feeling 100% off meant I would have to start from scratch again (it doesn’t, ps this post explains how much running fitness you lose w/each day we take off). I’ve thought in the past that being off on my pace for a tempo run or cutting a speed workout short would mean that I was surely doomed on race day (it didn’t). Maybe I’m just dramatic about things but one of the most important things I think we can do for our running is to look at the big picture and not judge where we are based off of one run. To realize that it is actually normal to be off on our workouts at times or to miss days at times is normal. Consistency is key but I think part of consistency includes plenty of rest days, time off if we have a hot spot or injury and that its okay when we don’t hit our paces perfectly. I’ve got a whole long list of things that I want to make sure to work on with my running in 2018 and one of them is to see my training as a big picture (including not jumping back into running too quickly and fast after the baby because I want long term running success) and avoid being so drastic in my thinking about a run gone wrong. Yesterday morning the kids and I had a bunch of things to get done. We also stopped at my parents’ house along the way. Later on in the morning we said goodbye to Knox for the day. We picked up Brooke’s painting project from last week. 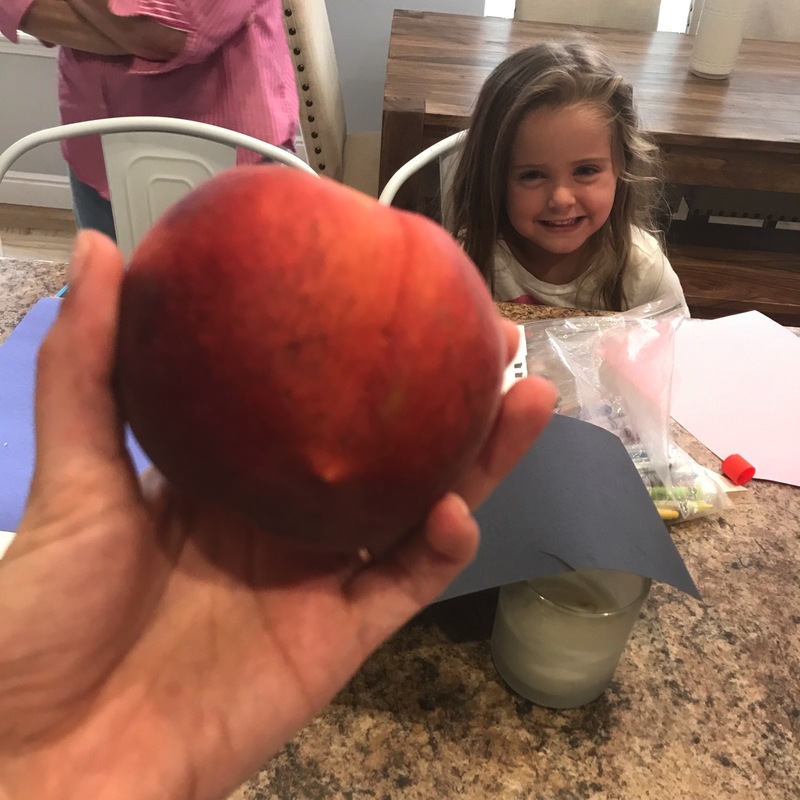 She was very proud. 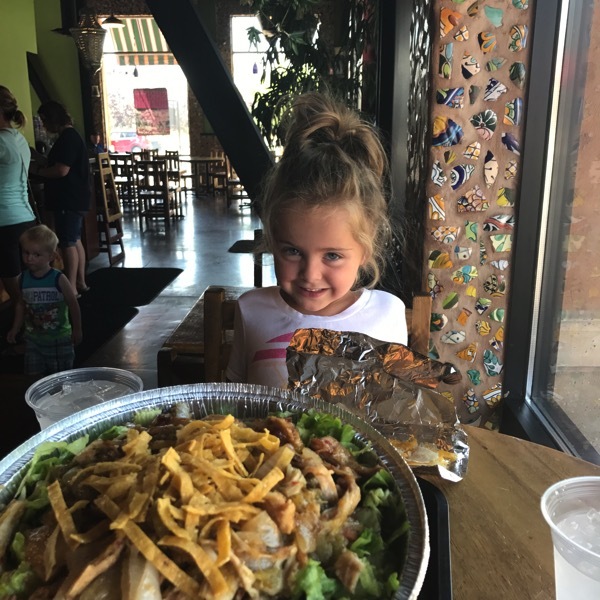 We picked up a salad that sounded really good to me w/ a coupon that I had which made me double happy. We also spent a little bit of time at Megan & Lindsey’s pool. 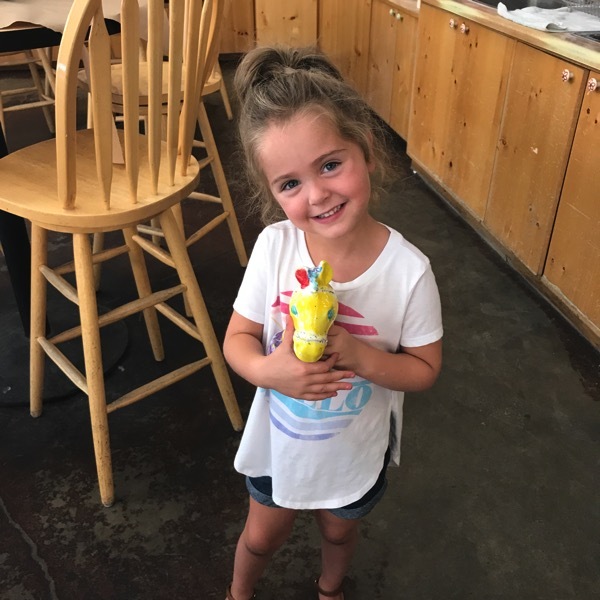 Brooke was very excited about her biggest trick right now. We came home and I took a nap while Brooke watched a show next to me. Sunday night I was awake for way too many hours (at least I got a lot of reading done;) so a nap was just what I needed. Andrew went on a run in 95 degrees right before dinner! I might be a wuss but anything over 75 degrees pretty much kills me off (all of you running in temperatures hotter than that… I’m currently applauding you). I’ve had a strong need (I can’t even call it a craving because it is not just something I’ve wanted, it’s something I’ve needed!) for my mom’s enchiladas. Here is her recipe. It is super easy and delicious and definitely one of my favorite comfort foods. We had my mom and dad come over to eat with us. These enchiladas might not look pretty but they are my current favorite. We made Brooke’s enchilada without the sauce, she’s not a fan of chili powder. She loved them too. For dessert Brooke and I split a peach and then decided we needed to split another… and then another. Let’s get going with some Tuesday Tangents!!! *I have a race now in August that I am REALLY looking forward to! It is different than anything I have ever done before! It is called the Dam Train Race and it is a 12k (automatic PR for me since I’ve never done a 12k race:) where you race against the Heber Train!! It is a trail race along the bank of the Deer Creek Reservoir (aka some of the best scenery in Utah)! The race is on August 19th!! Andrew and I will be there! COME JOIN US!!! *This is a blurry picture but it shows how hard these two get each other to laugh. Knox might even be tearing up below because he was laughing so hard. 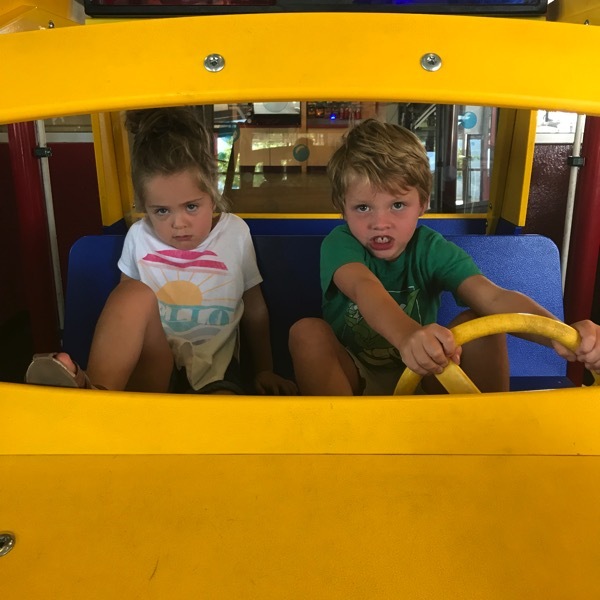 *A flash forward moment to what life is going to look like in 11.1 years… attitude! *I’ve been eating a lot of peanut butter and jelly these days. My habit as a 5th grader of eating the crusts first has not stopped and I still do it this way. Always, save the best for last. Those were some hard weeks in the first trimester when my body didn’t want anything to do with peanut butter. I didn’t even let Andrew eat pb around me because even the smell made me sick. 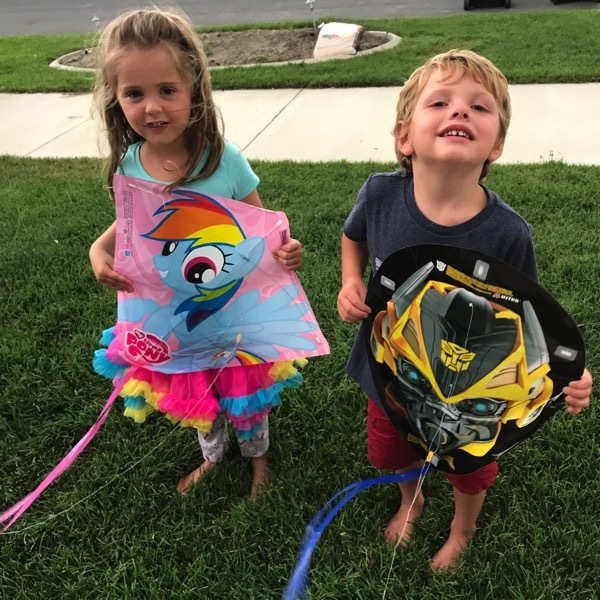 *We tried flying kites the other day! That lasted for about 5 minutes when our lovely kite flying weather turned into a full blown rain/wind/dust storm. 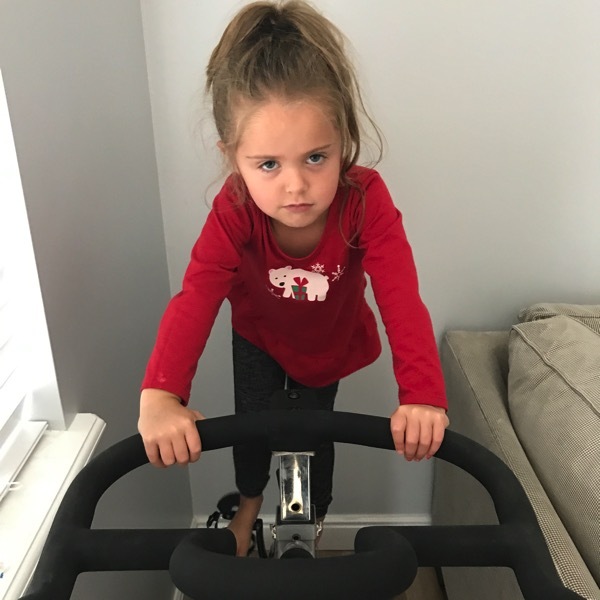 *Brooke has inherited my same intense look while spinning (the bike locked and she only gets on if I’m right next to her:)… maybe she will be a spin teacher when she grows up too. *MY SISTER SAID THANK YOU for your amazing comments yesterday!!! You guys are seriously the best. 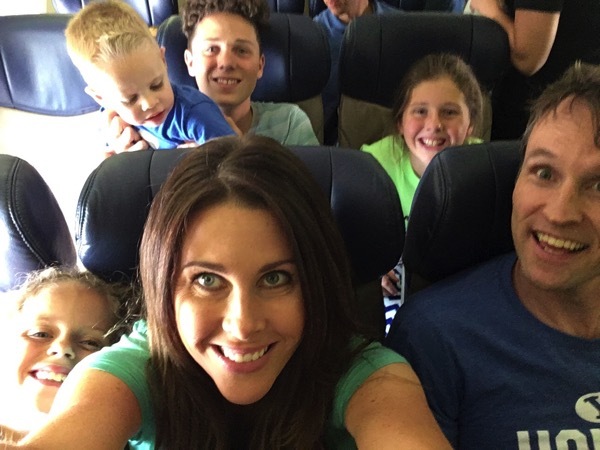 She didn’t have a chance to respond yesterday (they surprised their kids by getting on a plane for a short vacation) to questions from you guys but she will write up something for me to post soon to answer questions! 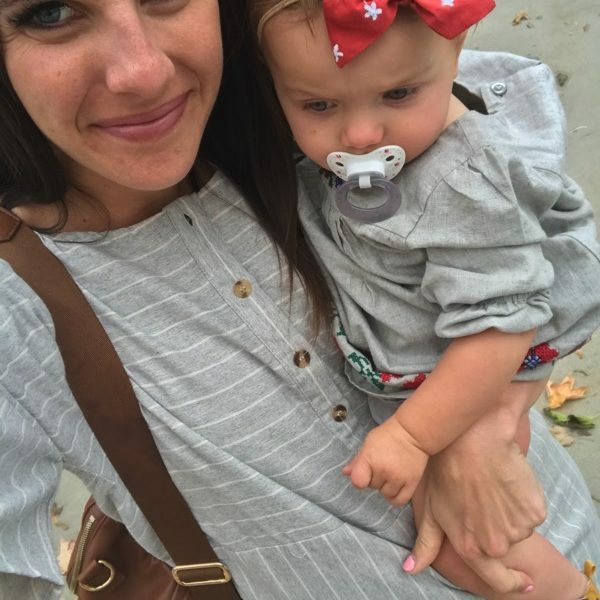 Also, thank you for your sweet comments on our post Sunday, they mean the world to me and I’m so thankful I can share the most important things with you! Share any tangents that YOU HAVE!! I would love to hear them! Anyone have an August race?! Ever done a trail race? What about a 12k race? Peanut butter vs almond butter (or a different type of nut butter)… which one wins in your opinion? -Usually almond butter always wins for me but peanut butter has taken over first place at this point in my life. Ever been a DRASTIC thinker with your running?! I love trail races. I’ve done some 5 and 10ks but I did a trail half once that was BrutAL! I’ve never tried almond butter so peanut butter gets the default win! Lately I’ve been wondering if I’ll ever be able to run again with this stinkin’ toe injury. I almost wish i just broke it. It’s taking so long to heal. Drastic is an understatement. Hey Janae:) I can totally feel your pain when it comes to peanut butter. For a few months my stomach was not tolerating peanut butter at all. Until last weekend I was able to eat it with no problems and that really made my heart so happy. Peanut butter is definetly my favorite kind of nut butter. I always liked the creamy kind but my boyfriend hooked me up with the crunchy kind. After dinner, we would eat ritz crackers with crunchy peanut butter for dessert. HEAVEN! I don’t have an August race so far. August is like the hottest month of the year here in Miami. 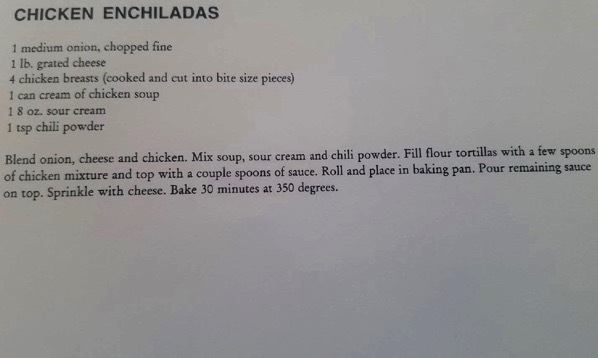 The enchilada recipe looks SO good! When it says blend does it literally mean blend in a blender or just mix together? My run yesterday was a speed workout with a feels like temperature of over 90. I wish it was cooler but running in the heat = feeling strong during my fall races right?! HEY MAUREEN!! You have to try them! Sorry that isn’t super clear… it just means to mix together! These crazy hot runs that you are doing are making you STRONGER for your fall races! Thanks so much Janae! I can’t wait to try the recipe out and am super annoying with recipes and want to make them perfect lol. Hope you’re having a great day! This morning was a cross training day for me, so I focused on strength training – I was thinking so hard during my workout that I didn’t even notice that my show I was watching on Netflix had somehow paused itself… I guess I was just really into the workout! My half marathon is in August, and then 2 weeks later I have a 10K! I haven’t raced a 10k before, and I am REALLY looking forward to it. I think the 6-10 mile range is my happy place… which I why I do halfs, to challenge myself! Never had a chance to do a 12k but that looks really fun! I love almond butter and peanut butter equally…but I just bought this coconut almond butter that might be the best thing I’ve ever had on a piece of toast. So right now, that’s winning! Tuesday tangent: I just could really use some prayer today. I’ve made a big decision (for me, anyway) to move to California this fall, and I’m finding it’s really tough to get a job at a place when you don’t actually live there. And I thought I was over my heartache from a fella, but something last week reminded me that I’m nowhere close. So, that stuff is weighing upon me this Tuesday. YOU ARE IN MY PRAYERS today Natalie! I’ll be thinking about you and please keep me updated on how you are feeling. Heartache is so tricky… things will bring it back even after you think you are okay. You are amazing and you deserve the absolute best! Thinking about you and let me know if you need anything Natalie. I truly appreciate those prayers, Janae. Thank you so much. Such a great thought about “big picture” thinking! Really helpful as I am not racing as fast as I want to -> gotta think long term! Amenorrhea + Silly training = fast times for a short time. Healthy + Smart training = even faster times in the future, running till I am 80, consistency :) <-reminding myself! And I am a peanut butter girl, all the way. Those enchiladas look fantastic! I make a similar looking recipe, but your mom’s looks far less complicated=fewer dirty dishes (mine involves two pans, a pot and a baking dish #oops ;) I might have to try it and see how it compares! I’m thinking about doing a 10K in August, but I just realized I missed the deadline before the price hike and that might change my plans. I’ve never done a trail race (well, I did do one 5K that was half paved/half in a wooded area?) or a 12K before. I should try something like that soon! I think my running thinking is a bit drastic to an extent. I kind of get the same bad thoughts that missing a run/not making a distance/not hitting a certain pace is a huge deal. I’ve been running for four years, but this is my first time going for anything longer than a 10K, so I have to remind myself that it’s all part of the process of building up that endurance/strength for the future. Of course I’m not going to hit my 5K paces in a half marathon, and as an already-slow runner that’s hard to swallow, but it’s good to take a step back and enjoy the run for what it is! It depends on the day — sometimes I like AB better, and other days I prefer PB! Both are amazing though!! I agree with you — running in anything warmer than 75 degrees is so hard!! Hey Dorri! Thank you so much for your comment! So all of the information in that post was taken straight form the Hansons Marathon Method (here is the link to the book: https://www.amazon.com/Hansons-Marathon-Method-Renegade-Fastest/dp/1934030856). If anything I took what they are saying to mean that you DO NOT lose much fitness at all… in two weeks completely off from running you lose 3-5% only, which is a lot less than I used to think. As far as taking easy days back into resuming normal training I think they are just trying to avoid injuries… taking it easy to get your body going again to avoid risking becoming injured from taking time off and then jumping right back into a 8 mile tempo run or something. I would never want that to scare runners off… I see it as encouraging runners to see that some time off doesn’t mean you are going to lose 100% of your fitness. This is the tricky part of the internet and how much information is available to us now… there are SO many different studies/books/articles out there. I perceived this one as a hopeful one because I saw it as way less fitness lost than I previously thought. I would love to read anything that you have found on this subject… I think it is all so interesting!!! Thanks so much!!! Peanut butter all the way. And im with ya on pbj combo– its genuinely the best combo ever and reminds me of being a kid! 95 degree run!! OH my gosh, that sounds tough! Someone was telling me about that Utah race once. It sounds super cool. I’ve messed up race dates so many times but cannot blame it on pregnancy brain. Haha. I think that is a sign that you need to come do it with me one year Hollie and stay with me! Hahahah good to know I’m not alone on messing up dates! I’m definitely all about the peanut butter. It’s my favorite by far. Maybe because I’ve been eating it for so much longer than any other nut butter. I love cardio because like you said, it gives me time to think. Yes! Top of Utah Half on August 29. So excited! It’s my favorite race. I’ve never done a 12 k but I’ve done a 15k. Weird distances haha I’ve also never done a trail race. That sounds like a whole different challenge! That 12k will be ssoooo gorgeous!! peanut butter! always peanut butter! 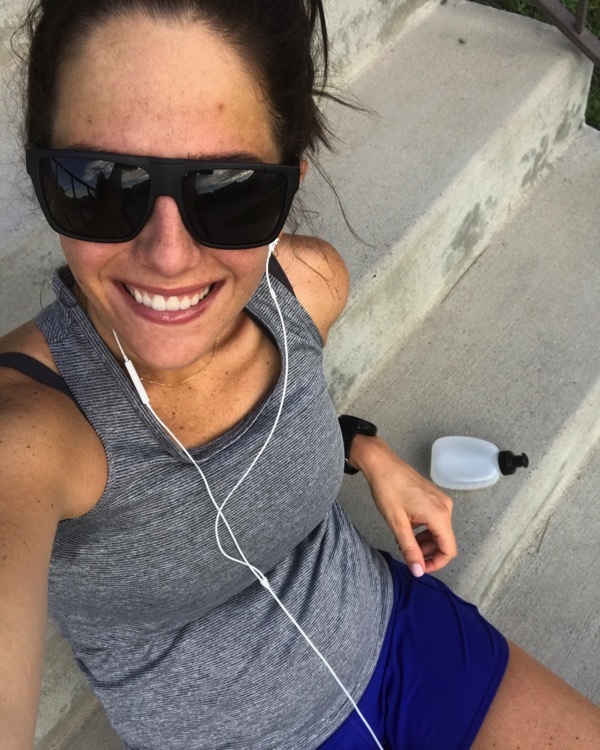 I actually read your post from back in the day on running fitness and it has changed my view on running – it actually allowed me to be more consistent! Before, I would beat myself up if I missed 4-5 days and think all was lost, so what was the point of “starting over” and then I wouldn’t run or do anything for weeks and get into a slump. Now, i know its ok if 2-3-4 days are missed and everything will resume as normal. I am not a huge runner with mileage or anything but I love that I am consistently running 3 days a week (sometimes 2, sometimes 4) and I am still making progress and seeing results/feeling good! i live in south florida and races are super scarce in july/aug, but I am doing a 7 pm 5k on thursday called “run, sweat, & beers” – should be fun! Oh Christine, I am SO glad that post was able to help you with consistency! Yes, I totally know what you mean about feeling like you have to start over if you miss a few days! Keep up the awesome progress! A 7PM 5K… sounds AWESOME!!! Enjoy:) Let me know how it goes! I love all nut butter, but my favorite these days is probably the cashew butter at Trader Joes, it is SO GOOD. 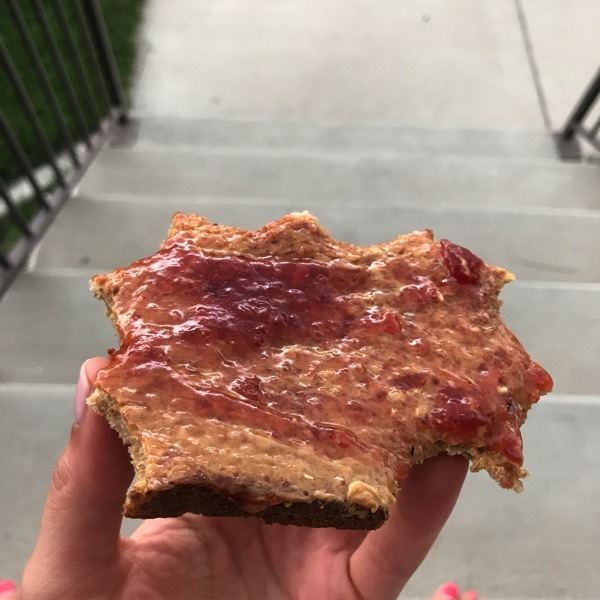 I’ve been really into pb & j lately too, so simple and good. Happy Tuesday! The Train Race sounds so cool! We did the Heber Valley train ride around Halloween and we loved it. It is absolutely beautiful. I also eat all my crusts first and then the insides. It’s the best part! Oh FUN!!! We want to do that this Halloween too:) Glad I’m not alone on the crusts thing! Thanks Angie! I hope you are having a beautiful day! You must have been listening into my conversation with Landon this morning, Janae. I had to cut my run short by a mile, after feeling some weird pain in my food I’ve never felt before. 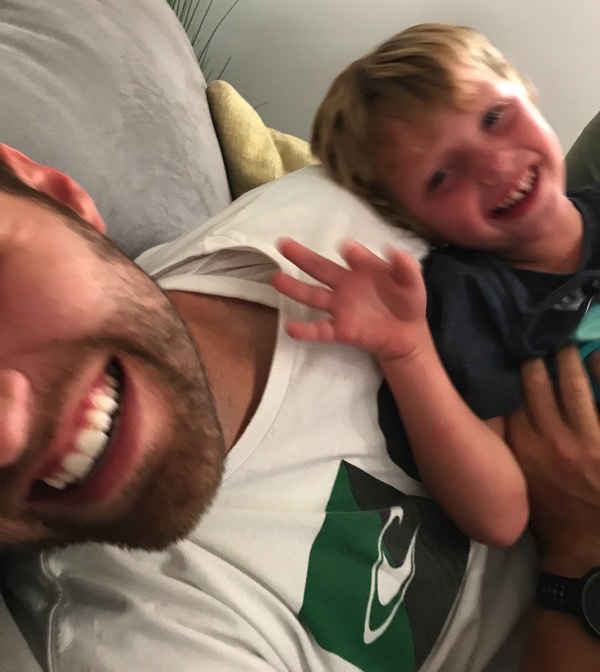 I poured out all my worries and doubts to Landon, since I am in the middle of my marathon training and was NOT happy about having to cut my run short and possible skip a few runs this week, thanks to my foot. 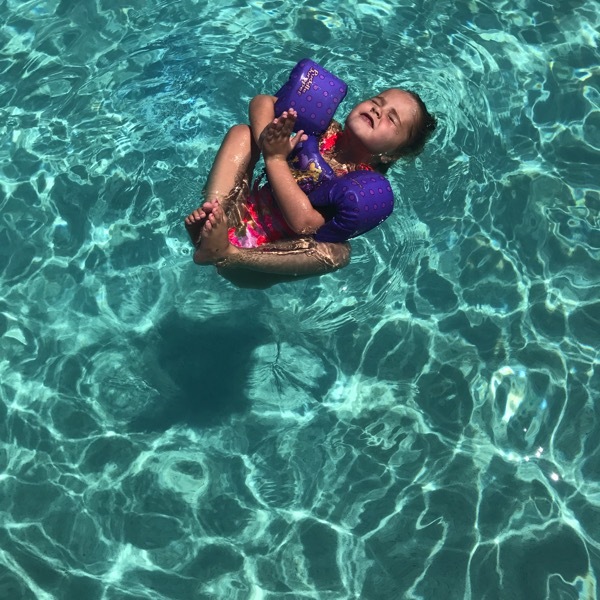 So, THANK YOU for the encouraging post today – it was EXACTLY what I needed to hear! Do you have any recommendations on taking days off in a marathon training cycle? I am 8 weeks out and just about to peak, so I don’t want to take too many days off, but obviously don’t want to run on an injury! 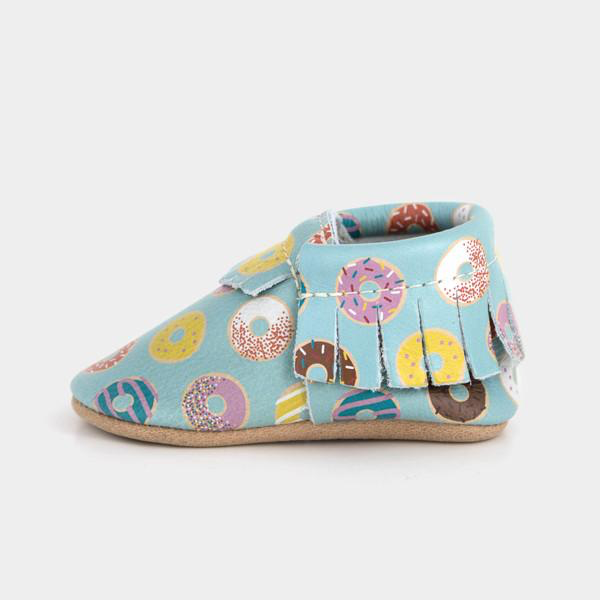 Love those donut baby shoes – you need to buy those ASAP!! I’ve definitely been a drastic runner/exerciser. I often find myself getting into a mindset where I think thoughts like, “UGH I did 25 minutes on the elliptical, not 30, and I didn’t push myself hard enough in the last five minutes” etc… just ridiculous thoughts that really don’t matter in the long run! Since my foot injury, I’ve been able to take a step back and realize that those little things I cared so much about really don’t matter :) I guess that’s a blessing in disguise! I go back and forth between peanut butter and almond butter all the time. It just depends what kind of mood I’m in! Do you consider complete randomness a tangent? If so, I know I’ve commended you before on your Gilmore Girls obsession. I am still not through all of the seasons yet but I’ve returned after a little hiatus (of The Good Wife obsession). I’m now back to Gilmore Girls and it is just so good. I’m at the end of Season 4 and trying to hoard the new episodes because I don’t want it to end. This just makes me so incredibly happy Amanda! I am so glad you are back… keep enjoying!!! Those donut shoes are so cute. I am also having my own little donut obsession – I’ve been ordering toasted coconut donuts from Dunkin Donuts for a while now and one day, the lady just heated it up for me and now I can’t stop thinking about that taste. I am signed up for a crazy August race. Saturday: 50 mile mountain bike race/Sunday: Full trail Marathon. Pretty sure I have lost my mind. I hate the heat. This spring it was 40 degrees and I was pulling clothes off because I was so hot. Thank goodness for races that start early and spectators who bring water guns! PLEASE buy those shoes!! And I love the big jar of almond butter from Costco! Tuesday tangent: My hubs and I are on Whole 30 and we have surpassed the 30 days so when we were at the beach this past weekend we sniffed out the BEST donut place and found the BEST apple fritter!!! I will send you a pic! Those always make me think of you!!! 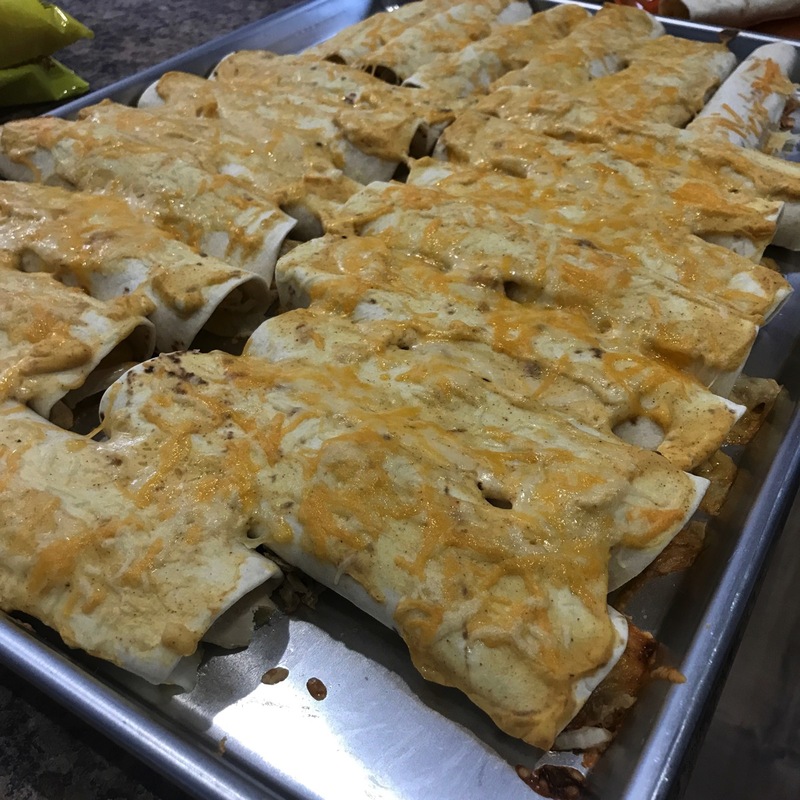 I had to make the enchiladas after you raved about them and OMG they are SO GOOD!!! My whole family loves them!! They are super easy too–wonderful flavor!! Thanks so much for sharing!! :) I love when you share your favorite recipes!!! THIS MAKES ME SO SO HAPPY!!!! 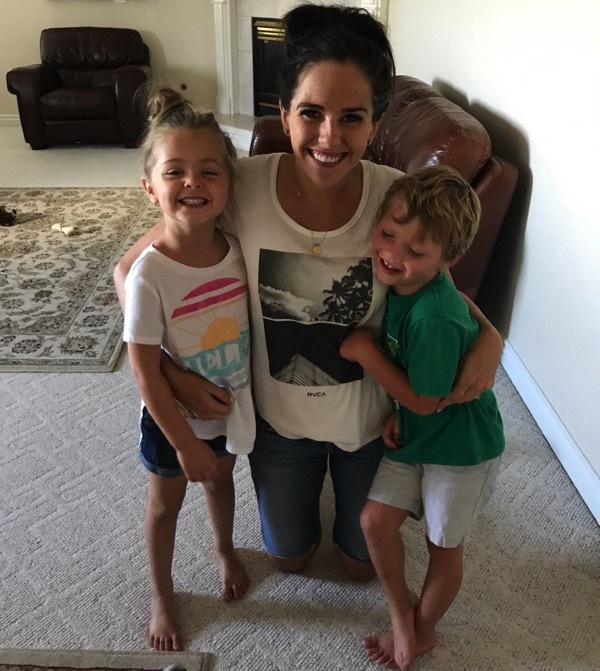 I am so glad you loved them and your family did too… so easy and SO good! Thanks for telling me Brittany! 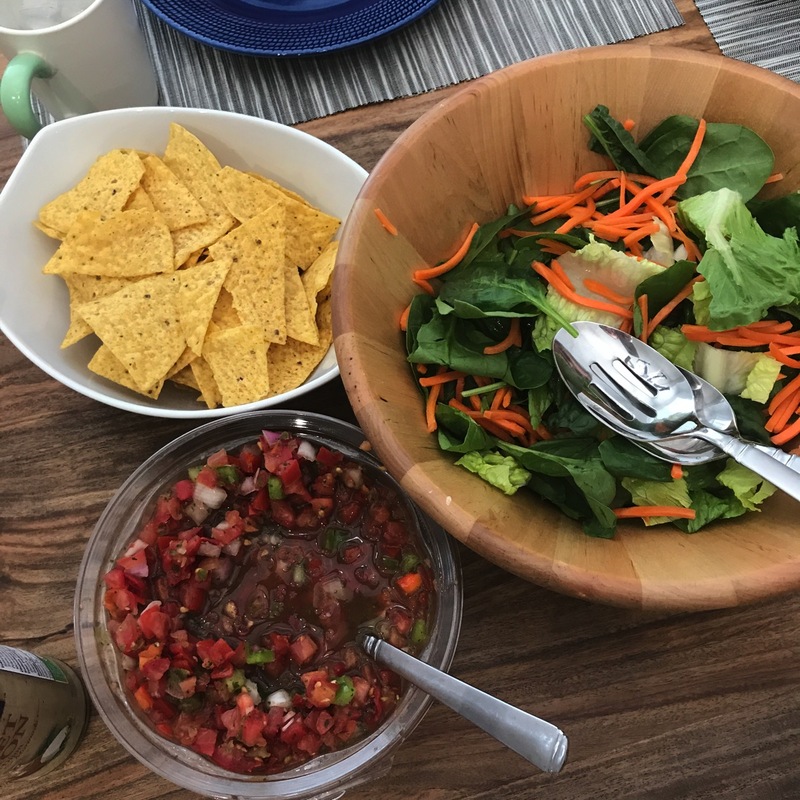 That salad and salsa looks amazing! It was helpful to read this. Sometimes it need to let go and enjoy more and focus on perfection less. I have been working with many runners over the years and want you to know this type of thinking is very common and can become balanced too! Quick questions in regards to the recipe. Do you add water to the soup or just use it as is from the can with the sour cream and chili powder?